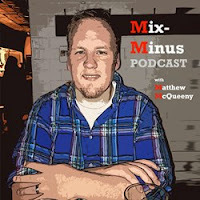 Mix-Minus Podcast | Matthew McQueeny: #91: How about an Apple TV Stick ( or Stem)? #91: How about an Apple TV Stick ( or Stem)? Matt talks about Black Friday before diving into a discussion of the current crop of streaming television devices, like Apple TV, Google's Chromecast, Amazon Fire TV, and Roku.